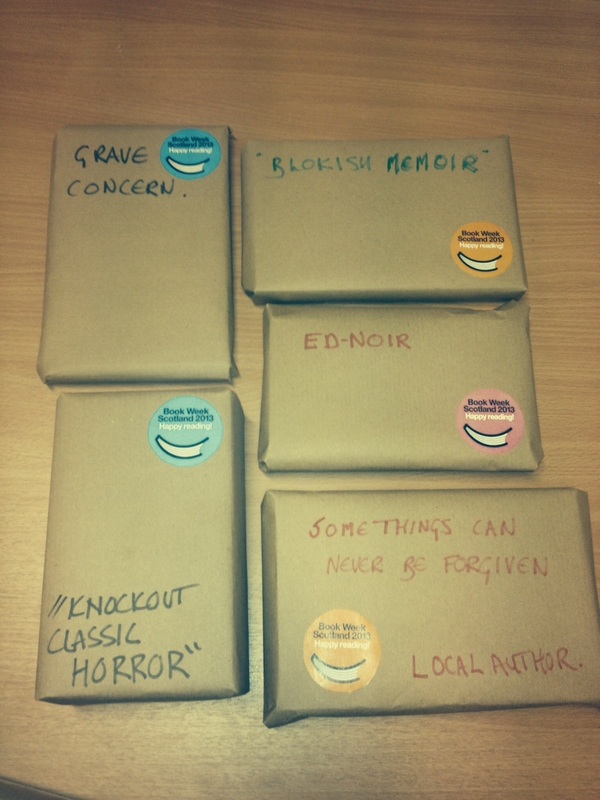 The books are wrapped and ready for the Big Book Bash Lucky Dip at the Edinburgh Campus Library on Monday 25 November 12.00-16.00. To make things more interesting we have provided clues to the content on the wrapping. Books have been kindly donated by Information Services staff and it is just £1.00 to take part- all proceeds to the Scottish Book Trust. there are over 500 events taking place all over Scotland to celebrate Book Week Scotland. Book Week Scotland Lucky Book Dip- Sold out!